George Marsden’s The Twilight of the American Enlightenment serves as a helpful survey of American social thought from the end of the second world war through the present. While the 1950s were a time of prosperity and stability, many public intellectuals knew this situation was only temporary. The rise of religious pluralism and modernity were already creating angst. Walter Lippman’s solution was to ground society upon the immovable foundation of natural law. This, Lippman thought, would save liberal principles for future generations. Lippman became largely rejected and ridiculed for his belief in transcendent truth. The intellectual’s solution was instead to be found in Arthur Schlesinger and Daniel Bell’s “balanced,” approach. Democracy would ensure that government furthered goals in the best interest of mankind’s progress. Many problems could be addressed by science, and even those that could not would be examined on a case-by-case basis by the intelligentsia. As a result, specialization trumped tradition and the power centers of the culture took a secular swing toward the “experts.” Religion’s place was relegated to a private sphere in which it could never affect consensus. The obvious backlash came in the 1970s when the “religious right” mobilized politically against national moral decay. Marsden, I believe, makes a mistake here however. 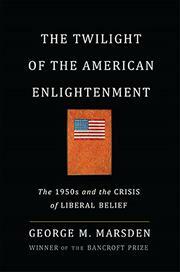 In Marsden’s view, “consensus” liberals were unbalanced by seeing American principles as exclusively spawning from the Enlightenment, to the exclusion of Christianity. Similarly, conservative Christians emphasized Christian principles to the exclusion of the Enlightenment. What little citation he does offer in favor of the latter point is fairly weak. His own assumptions about the founding seem to overemphasize the influence of deism and the role of the Enlightenment. Even so, Marsden finds in the example of Abraham Kuyper a proposed compromise between the two parties. “Principled pluralism,” which rests on the idea of “common grace,” could allow for fundamental disagreements, while retaining freedom in diverse communities. What Marsden misses, I believe, is that federalism has already been tried and failed. In a country in which a war was already waged in order to keep sovereign states under the dictates of a central government, it seems naive to think that a federal system such as “principled pluralism” could even work. More and more the central authority invades the personal lives of individuals and groups. The major tenants of the Bill of Rights itself are constantly up for debate. In this climate, how could anyone propose a political situation in which biblical conservatives are allowed to continue their influence so long as they do not interfere with the rights of differing communities? Modern liberalism will not even entertain Marsden’s possibility. 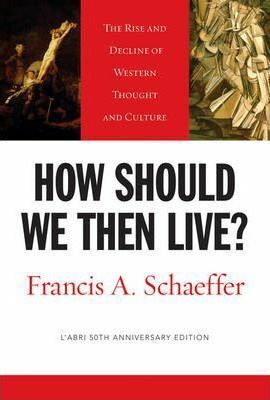 The book lead me to conclude that there are no good and practical answers short of a revival. This I believe is helpful, though it was not the point Marsden was making. It causes me to want to focus significant attention on spiritual awakening realizing that my political involvement is a rear-guard action for the glory of God and not the success of the action itself. Still, the information included in the survey of social thought is good. To gain an understanding in what lead the America of the 1950s to the America of today, I would recommend Marsden’s book. On October 31, while many parents whisk their little ones from house to house in the pursuit of temporal tasty treats, a large portion of Christendom will be observing the 500th anniversary of the Protestant Reformation, a movement which arguably changed the very course of Western Civilization up through the present. Many Protestant denominations, seminaries, churches, and para-church organizations are sponsoring trips and teachings, hosting conferences and conviviality in recognition of the great Solas that inspired the Reformers to separate from the Roman Catholic Church. If one were to attend an average American evangelical service on any given Sunday during the month of October, one would likely hear a sermon on one or more of the five Solas: Sola scriptura (“Scripture alone”), Sola fide (“faith alone”), Sola gratia (“grace alone”) Solo Christo (“Christ alone”), Soli Deo gloria (“glory to God alone”). The common narrative usually goes something like this: Over time the Roman Catholic church became corrupt, with regard to the doctrine of salvation. While there were individuals and movements that attempted to self-correct, they were of no lasting significance, that is, until Martin Luther posted 95 thesis to the church door in Wittenberg, Germany on October 31, 1517. Luther’s “Here I Stand” speech, four years later at the Diet of Worms serves as the climax of the divine drama. Unless I am convinced by Scripture and plain reason – I do not accept the authority of the popes and councils, for they have contradicted each other – my conscience is captive to the Word of God. I cannot and I will not recant anything for to go against conscience is neither right nor safe. God help me. Amen. Sola scriptura was the great principle Luther championed. It was upon this cornerstone that the other Solas were supported and defended. In telling this story, American Evangelicals will often call Calvin, Zwingli, and Knox to the stage for the next scene of the providential production. Their influence, like Luther’s, spread far and wide, eventually culminating in a small group of Bay Staters known as the Puritans. This connection cannot be overemphasized. Reading the Puritans is often viewed as a necessary credential for being “truly” Reformed. If the survey happens to make its way to the shores of the New World, this is usually where the story ends. Puritans have become the American vanguards of Reformation theology with a straight line linking them to Reformed leaders of our day such as John Piper, John MacArthur, and R.C. Sproul. But what about the 245 years separating John Piper’s Desiring God from Jonathan Edward’s Sinners in the Hands of an Angry God? Is the New England of 1741 really where the story of the Reformation ends for America? Religious adherence in 1776 was roughly at 20% for Northeastern, Middle, and Southern colonies respectively (this percentage may seem low by today’s standards, but it must be remembered that many living on the frontier had limited access to a local church). Congregationalism dominated New England, while the Middle and Southern Colonies depicted much more denominational diversity. In the South, Baptists Episcopalians, and Presbyterians claimed the lion’s share of Sunday morning pews. With less than 2% of American congregants belonging to the Roman Catholic Church (mainly in Maryland), early America was certainly dominated by Protestantism. From the time of the War for Independence to the War Between the States, this basic perception of a Protestant society is not altered significantly. It was this belief that inspired John C. Calhoun to observe in 1850 that “The cords that bind the States . . . are [in large part] spiritual or ecclesiastical.” In his second inaugural, Abraham Lincoln himself appealed to what he saw as the common ground of a protestant nation when he famously remarked, “Both [sides] read the same Bible, and pray to the same God.” Though Immigration boosted the small number of Roman Catholics and Jews, religious adherence itself increased to as much as 70%, and the Second Great Awakening had granted a numerical advantage to Baptists and Methodists on the frontier. America unmistakably wore the protestant brand. However, sporting a brand and believing a theology are two different things. Though undetected at the time by census and denominational enumerations, a shift away from the Solas was underway in the land of the Puritans. All the literary men of Massachusetts were Unitarian; all the trustees and professors of Harvard College were Unitarian; all the elite of wealth and fashion crowded Unitarian churches; the judges on the bench were Unitarian. Even the First Church of Boston, founded by John Winthrop, went Unitarian. Given these facts, the obvious questions become, “Why was the Reformation halted in New England, while its influence continued in other regions?” The short answer is that the North, by the time of the early nineteenth century, was ripe for the picking. Jonathan Edwards himself feared that the influence of the First Great Awakening was temporary at best. The Puritans had carried with them from England the optimistic view that society could be perfected through human action. In a sermon entitled A Model of Christian Charity, Massachusetts Bay Governor John Winthrop famously declared,“We shall be as a city upon a hill, the eyes of all people are upon us.” At the time of Winthrop’s sermon, the foundation was sola scriptura, and the form human achievement—but the form far outlasted the foundation. Utopian schemes such as Oneida Community and Brook Farm were only to be found in Northern soil. Transcendentalist thought permeated even mainline denominations through what Historian Gregg Singer calls, the “New England Theology.” In the “Burned Over District” Charles Finney’s evangelistic methods had impacted local congregations so much so that even Presbyterian churches were practicing decisional regeneration. Sola pragmaticam was replacing Sola scriptura. In the Northern academy, scholars like Unitarian minister Joseph Stevens Buckminster were directly attacking the authority of Scripture by introducing German Higher Criticism. In 1839, one of Philadelphia’s most eminent physicians, Samuel George Morton, published Crania Americana, in which he “presumed that the Bible had been misread. Caucasians and Negroes were too different to both be descended from Adam through Noah.” Sixteen years later two of Morton’s students published, Types of Mankind which “proved” that blacks were a separate species than whites. One of the authors claimed “that science—not the Bible—must decide the true origins of mankind. . . [proposing] that God must have made separate races of men, just as He had made separate species of animals.” While these ideas gained wide acceptance in the North, the reception was anything but favorable in the South where Sola scriptura was still alive and well. Science, falsely so called, may attempt to exclude him [negroes] from the brotherhood of humanity . . . but the instinctive impulses of our nature combined with the plainest declarations of the word of God, lead us to recognize in his form and lineaments—his moral, religious and intellectual nature—the same humanity in which we glory as the image of God. We are not ashamed to call him our brother. 5) Pray for the integrity of the colleges. At the very moment that the northern churches were embracing theological liberalism and abandoning the Word for a Spirit increasingly reduced to personal subjectivity, the southern churches were holding the line for Christian orthodoxy. The thesis had been nailed. The “Here I stand,” moment came when Southerners formed their own denominations and broke away from their Northern counterparts. The reason was simple. Sola scriptura. The first denomination to splinter were the “Old School Presbyterians”, primarily represented in the South. Since 1801, the denomination’s conservatives did not approve of carrying out missionary work with Congregationalists who advocated the “New England Theology”. As time progressed, many “New School” Presbyterians also challenged the doctrine of original sin and traditional ecclesiology. In addition, a growing insistence among many “New School” Presbyterians especially, that the relationship between master and slave was innately sinful added to the strain. The synod of South Carolina responded to this allegation by chiding, “whosoever has a conscience too tender to recognize this relation as lawful, is righteous over much, is wise above what is written . . . and leaves the infallible word of God for the fancies and doctrine of men.” The conservative wing had enough, and formed their own denomination in 1837. Men and women again saw themselves playing dynamic roles in their own salvation and preparing society for the millennium. By the thousands they flocked to the Tract Society, the Sunday School Union, the temperance and peace organizations, and the Colonization Society. Many Northerners saw organized human action that included the role of government as a way to progress mankind. The South on the other hand, viewed government, in the words of James Henley Thornwell, as an “institute of heaven . . . designed to realize the idea of justice.” Social change through government action was not mandated by God. Only the application of divine justice according to the boundaries set in Scripture. They followed the Augustinian “Two Kingdom” model. When it came to the institution of slavery, Southern Christians believed that since “slavery was a political institution,” their only duty was to, as the Presbyterian synods of South Carolina and Georgia affirmed, “inculcate the duties of master and slave, and to use lawful and spiritual means to have all, both bond and free, to become one in Christ by faith.” Unlike Northern pulpits, Southern pulpits were not filled with political speeches or candidate endorsements. Thus, when a modern Christians asks why Southern pastors did not seek to eradicate slavery politically, the answer has more to do with a Reformed view of government than it does a political position on slavery. Even if Southern preachers did feel so inclined they would not have thought it their duty to leave their appointed sphere of authority for one to which they held no biblical jurisdiction. But it was much more than a Reformed view of government that eventually separated the remaining American denominations. Northerners, in an effort to immediately abolish the institution of slavery in the South traded the authority of Scripture for the authority of human Reason. It is imperative to realize that the theological motivation for framing the slave-master relationship as sinful in and of itself, was not Scripture driven in the least. There were many Christians in the South who wanted to end slavery politically, but they could not go the extra step the abolitionists took in condemning any person who owned a slave as being “anti-gospel,” or living in perpetual sin. The words of Presbyterian theologian B.M. Palmer are helpful here. This spirit of atheism, which knows no God who tolerates evil, no Bible which sanctions law, and no conscience that can be bound by oaths and covenants, has selected us for its victims, and slavery for its issue. Slavery became the flashpoint for a much greater theological debate. Was Scripture to guide the church, or Scripture plus human Reason? The famous Southern theologian R. L. Dabney, who became Stonewall Jackson’s chief of staff, could recognize that the slave trade was as an “iniquitous traffick” in light of Exodus 21:16. But a biblical view of providence also compelled him to observe that, “This much-abused system has thus accomplished for the Africans, amidst universal opposition and obloquy, more than all the rest of the Christian world together has accomplished for the rest of the heathen.” Dabney was here referring to the reality that many slaves were exposed to the grace and love of Christ and joyfully converted to Christianity. Many Christian slaves, including Booker T. Washington, agreed with Dabney’s assessment. Such fair mindedness and biblical respect could not be found in the ranks of the radical abolitionists. The slave master . . . debauched his women slaves, had children by them, and in turn defiled his own children and sold them into the slave market; the slave plantation was primarily a gigantic harem for the master and his sons. . . Ministers of the gospel who owned or sanctioned slavery were included in his sweeping indictment of miscegenation and prostitution. In short, Garrison and the anti-slavery societies which he launched, followed soon by Northern churchman, stigmatized the South as a black brothel. . . Still, Northern denominations answered Garrison’s call. In the late 1840s, Wesleyans, Baptist, and Congregationalists all started three separate organizations “to send anti-slavery missionaries to the south.” Their mission: to inspire slaves to defy and escape their masters, while forming congregations that preached the “whole gospel.” More and more the gospel was seen as being tied to the abolition of slavery. From the 1830s onward, abolitionists denounced what they called a proslavery gospel that either ignored the issue of slavery or actively denied that Christian principles favored emancipation. In contrast, they preached what they called a ‘whole,’ ‘pure,’ or ‘free,’ gospel, emphasizing Bible precepts that non-abolitionists avoided. Hinging the application of Christ’s merits upon a sinner’s ability to keep the law (especially an extra-biblical law), was precisely what the Reformers were reforming from! The abolitionist’s requirement that one must denounce a practice that Scripture itself does not denounce in order to be right with God, puts them at odds with the original Protestants. In 1831, and then again from 1843 to 1861, two “postal crisis” flooded the South with millions of pro-abolition tracts. The appalling, yet inaccurate (Harriet Beecher Stowe was also ignorant of the South) cruelties portrayed in the best seller Uncle Tom’s Cabin, did not help Northern Christians perception of their Southern brothers and sisters. When Julia Ward Howe, Ralph Waldo Emerson, and William Lloyd Garrison all payed glowing tributes to John Brown after his failure to spark a violent slave insurrection in 1859, it was the South’s turn to be horrified. But perhaps more horrifying to them was the way in which abolitionists treated the Holy Scriptures. There are great principles in our nature, as God has made us, which can never be set aside by any authority of a professed revelation. If a book claiming to be a revelation from God, by any fair interpretation defended slavery, or placed it on the same basis as the relation of husband and wife, parent and child, guardian and ward, such a book would not and could not be received by the mass of mankind as a Divine revelation. Thornton W. Stringfellow, a Baptist preacher from Virginia pointed out the flaw in such thinking. Sin in the sight of God is something which God in his Word make known to be wrong, either by perceptive prohibition, by principles of moral fitness, or examples of inspired men, contained in the sacred volume. When these furnish no law to condemn human conduct, there is no transgression. Christians should produce a ‘thus saith the Lord’ both for what they condemn as sinful, and for what they approve as lawful, in the sight of heaven. After the Presbyterians divided in 1837, the debate over biblical authority as it related to slavery continued. In 1857, and then in 1861, both Northern and Southern wings of the Old and New School denominations split once again, this time exclusively over the issue. The Methodists followed suit. In 1836, Northerners attempted to foil the election of William Capers to the position of bishop simply because he owned slaves. Capers predicted perhaps more than he realized when he encouraged unity the following year in the Southern Christian Advocate. In the present state of the country, we believe it to be of the utmost importance to the country itself that the churches be kept together. Let the bonds once be severed which hold the churches of the North and South together and the Union of these states will be more than endangered, it will presently be rent asunder. The same scenario took place in the Baptist Church during the same year. In the wake of a failed slave insurrection in 1822, the president of the Baptist State Convention of South Carolina, Richard Furman, assured the governor that the uprising was not inspired by Holy Scripture, but rather by Northern agitators. Furman summarized Scripture’s teaching. Had the holding of slaves been a moral evil, it cannot be supposed, that the inspired Apostles . . . would have tolerated it, for a moment, in the Christian Church. . . They would have. . . required, that the master should liberate his slave in the first instance. But, instead of this, they let the relationship remain untouched, as being lawful and right, and insist on the relative duties. [Abolitionist] activities were “inconsistent with the gospel of Christ.” Abolitionists will “oppress the slave, . . . arm the assassin to shed the blood of the good people of our State; and . . . alienate the people in one State from those in another, thereby endangering the peace and permanency of our happy Republic. In 1843, when two missionaries were discovered to own slaves, anti-slavery Baptists insisted that they be investigated by the Triennial Convention board. A year later, James Reeve was denied entry to the national board of the American Baptist Missionary Union for owning slaves. It was this action that precipitated Georgians and Virginians to establish the Southern Baptist Convention the following year. Like the Reformers of the sixteenth century, the pastors and theologians of the antebellum South also stood for Sola scriptura in the face of political repercussion. The gospel of grace could not be compromised by joining it to the work of abolitionism, or any extra-biblical law. The authority of Scripture had to stand against the God of human Reason. It was for this cause that in July of 1851 the Southern Literary Messenger published portions of an address by the prominent Southern Presbyterian James Henley Thornwell. The parties in this conflict are not merely abolitionists and slave-holders—they are atheists, socialists, communists, red republicans, jacobins, on the one side, and the friends of order and regulated freedom on the other. In one word, the world is the battleground— Christianity and Atheism the combatants; and the progress of humanity the stake. Historian Greg Singer points out that “Thornwell, Dabney, and their contemporaries…saw in abolitionism a threat to Calvinism, to the Constitution, and to the proper ordering of society.” Seemingly good intentions can often harbour ill motives, the consequences for which are unrealized until much later. The morality of slavery was not the issue. Sola Scriptura was, as it continues to be in our day. The changes that have taken place since the mid-nineteenth century have proven the fears of Southern theologians to be correct. Christianity is practically nonexistent in the Northeastern region of the country, and every modern moral social crusade seems to threaten the moral authority of God and influence of His Church where it still exists. Southern churches are not exempt from this threat. Today is the day to rekindle the dim flame of the Reformation where it still happens to burn. There is a place called Dixie, where it’s tradition to defend the Solas. May God in His great providence keep it that way for generations to come. Happy Reformation Day! "Be still, my soul: the Lord is on thy side. Bear patiently the cross of grief or pain. Leave to thy God to order and provide; In every change, He faithful will remain. Be still, my soul: thy best, thy heavenly Friend.Through thorny ways leads to a joyful end." - "Be Still My Soul"